Offers easy transportation of your kayak. 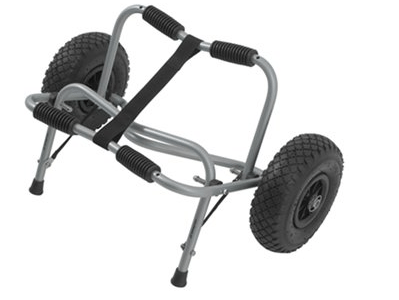 This heavy duty aluminum frame kayak cart makes transporting kayaks a breeze! Collapsible for easy storage. The kayak cart allows a single person to comfortably move a kayak from the beach house to the shore. 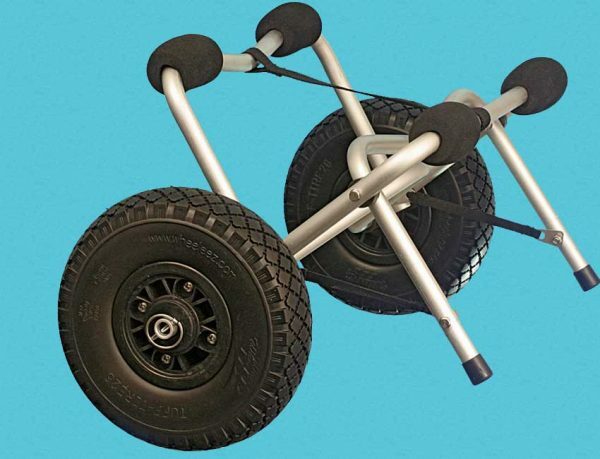 Detachable 26 cm pneumatic rubber wheels. Heavy duty, collapsible aluminum frame is marine grade anodized, after fabrication. Soft foam bumpers to protect your kayak hull. Double kickstand for easy kayak loading. Copyright 2019 © Moneysworth Equipment Rentals. All Rights Reserved.